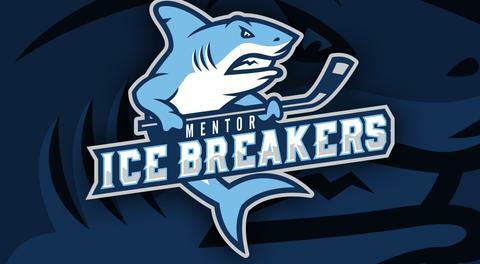 The Mentor Ice Breakers will be looking to snap a five-game losing streak this weekend as they take on the Port Huron Prowlers in a three-game series. Saturday night’s contest at Mentor Civic Ice Arena is Mentor Youth Hockey Night, presented by Moe’s Southwest Grill. Every Mentor youth hockey player who attends the game wearing their jersey will get a free general admission ticket as well as $5 in Moe’s Bucks if accompanied by a paying adult. For more information, click here. The Ice Breakers are currently on a five-game losing skid, but the schedule hasn’t been doing them any favors. 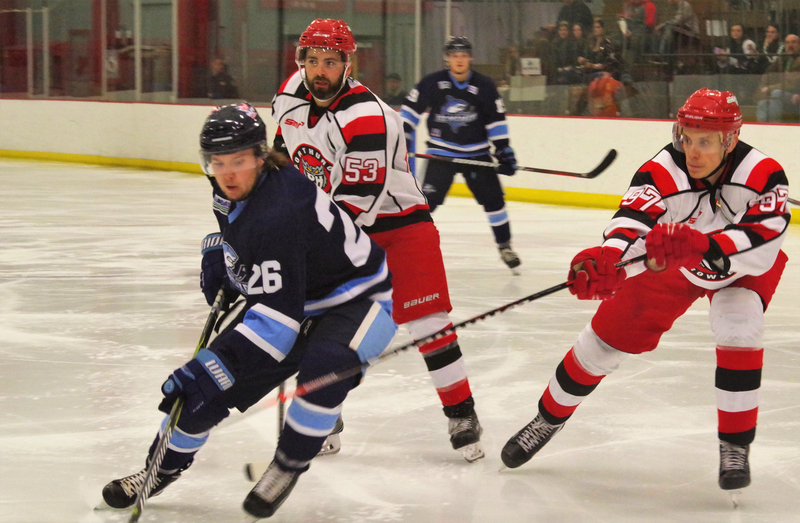 Over the last two weeks, Mentor has taken on the Carolina Thunderbirds and Elmira Enforcers – the top two teams in the FHL, which are on a combined 31-game winning streak. Carolina and Elmira have stood out as the best two teams in the league, and both clubs are playing their best hockey of the season. Mentor and Port Huron have had a back-and-forth season series, with the two teams alternating wins through six matchups. 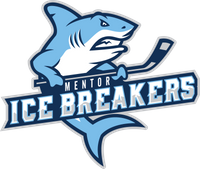 The Ice Breakers have had a couple of memorable wins over the Prowlers, such as a 5-4 victory at home on New Year’s Eve, but they’ve also looked overmatched at times. The last time the Ice Breakers and Prowlers faced off, Port Huron jumped out to a 4-0 lead early in the second period before ultimately winning 6-3. With only nine goals in their last seven games, the Ice Breakers need to score more consistently to take down the Prowlers. Forward Gordy Bonnel recently saw his 18-game point streak end in Mentor’s 7-1 loss to Elmira on Saturday night, though he did get into his second fight of the season and landed a couple of hard shots on Enforcers forward Stepan Timofeyev. Bonnel’s assist last Friday night made him the Ice Breakers’ leading scorer, surpassing Mark Essery’s 29 points (11-19-30 for Bonnel). Patrick Porkka is another player who has been playing well despite Mentor’s struggles. Porkka has three goals and four assists over his last eight games. The Rauma, Finland, product, a three-year FHL veteran, has a 9-8-17 scoring line over 28 appearances this season. Also, Declan Conway has a goal and three assists and is standing out as a physical presence over five games since returning from injury. Like the Ice Breakers, the Prowlers have been a difficult team to figure out. There are nights when they look like they’re capable of beating anyone, such as when they posted a 5-0 win over Watertown on the road last Friday night, but there are also series where they appear to be doomed from the opening puck drop. On January 18 and 19, Port Huron was defeated by Elmira in back-to-back games by scores of 7-3 and 8-3. Port Huron has won three of its last five after logging a pair of wins over Watertown and dropping two of three against Danville. The Prowlers currently hold the fourth and final playoff spot, so every game between Mentor and Port Huron could have playoff implications. The Ice Breakers have their work cut out for them over the remainder of the regular season as they trail the Prowlers by 15 points in the FHL standings. Port Huron is a veteran team with plenty of offensive firepower at the top of its roster. Forward Dalton Jay (23-28-51), a fourth-year veteran, recently hit 50 points and needs only nine points to surpass his previous career high of 58, set last season with the Prowlers. Jay has been heating up over the last month, logging 10 goals and 12 assists for 22 points over his last nine games. He’s coming off a huge series against Watertown in which he put up six points (3-3-6). Matt Robertson is the all-time leading scorer in Prowlers franchise history with 221 points (92-129-221) over 126 games with Port Huron dating back to 2016. Robertson is averaging 1.8 points per game this season and has four goals and five assists over four career games against the Ice Breakers. Zachary Zulkanycz (16-21-37), Matt Graham (9-26-35), and Matyas Kasek (11-17-28) round out the top five scorers on the Prowlers’ roster, who have a combined 21 seasons of FHL experience. Despite the abundance of veterans up and down Port Huron’s roster, the Prowlers currently sit eight games below .500 and are clinging to the final playoff seed. This isn’t familiar territory for a Port Huron club that has made it to the Commissioner’s Cup finals in two of the last three seasons, winning the trophy in the 2015-16 season. Player-coach Joe Pace Jr. is guiding a defensive corps that has allowed the second-most goals in the FHL. Pace is Port Huron’s all-time leader in both penalty minutes and games played. Between the pipes, the Prowlers are in good hands with Cory Simons and Chris Paulin. Simons, 26, has put up great numbers against FHL competition throughout his three-year career, but has been unable to stick at the SPHL level. Simons has a 3.26 goals-against average to go along with a .916 save percentage over 21 outings this season and recently returned from an SPHL call-up with the Quad City Storm. Ice Breakers fans should already be quite familiar with Paulin (4.01/.917), a Lockport, New York, native who has a .955 save percentage over two starts against Mentor this season. Despite a tremendous effort from Danville, Carolina extended its winning streak to an FHL-record 22 games last weekend with a two-game sweep of the Dashers. The Thunderbirds needed a go-ahead goal from Michael Bunn midway through the third period to claim a 4-3 win. Former Ice Breaker Ryan Alves scored his ninth goal of the season and fourth since being traded to Danville in the loss. Watertown continues to struggle after losing multiple key players. The Wolves have dropped nine of their last 10 games, enduring the loss of Gavin Yates (20-23-43) and Cody Porter (3.93/.925) to SPHL call-ups. It doesn’t appear that Porter will be returning to the Wolves after being released from his contract with the Fayetteville Marksmen and refusing to report back to Watertown. The Wolves have gone through multiple goaltenders since Porter and Cody Karpinski, who suffered an injury, were unavailable for nearly a full month after serving as Watertown’s goaltending tandem through the first couple of months of the season. Right now, Karpinski and Jared Rutledge (4.59/.879 in three appearances) are the two goalies listed on the Wolves’ roster. Forward Tyler Gjurich (30-26-56) is holding things down in Watertown and still leads the FHL in scoring, but he will likely be surpassed by Elmira’s Ahmed Mahfouz and Port Huron’s Jay if current trends continue. As skilled as Gjurich is, he can’t do it on his own. Ever since the calendar flipped to 2019, not enough players are scoring consistently enough for the Wolves to be a winning team. Next weekend, the Ice Breakers will play host to a familiar foe with a two-game set against Carolina. After that, Mentor will embark on a three-game series against Danville February 22-24.